Going to a high school reunion this summer? I have one coming up on May 23 – it’s not really my reunion, but I’m going to the 45th gathering of the 1964 West Point High School graduates. Take some time before the reunion to jot down favorite memories, look at yearbook photos and listen to music from your high school years. Make a mental list of all you’ve accomplished since graduating. 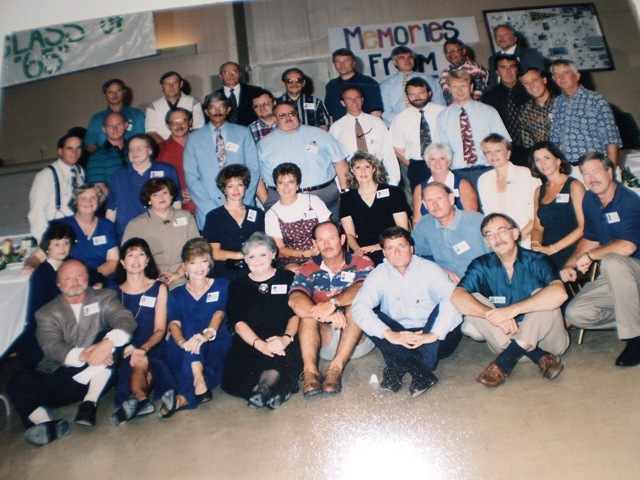 Get in touch with a couple former classmates to get you in the reunion spirit. 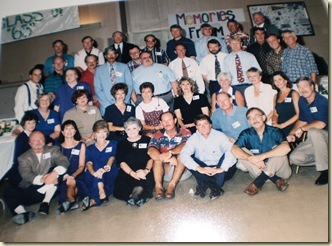 Ask to help with planning the reunion, which will get you excited for the event. Arrive in town a day early and spend time visiting your favorite haunts and dwelling on nostalgia. Look your best by stepping up your health and fitness program months before your reunion. Uh oh! It’s probably too late to lose 20 pounds and get a face lift. This entry was posted in Boomerang & the old gang and tagged class reunion angst, West Point High School Class of 1964 by Emily Jones. Bookmark the permalink. Who are you going with? huh? huh? Conley Cox. Do you remember him?